tips | Platinum Drivers Inc. Some people think that driving for hours on end must be incredibly boring. However, the truth is that you can keep yourself entertained pretty easily when you spend your days behind the wheel of a truck. Depending on where you are driving, there are plenty of radio stations to listen to, and these days, there are also many other options available on your smartphone. The hours that you spend on the road will fly by when you utilize these options to keep your mind busy. Take a look at some of the things you can listen to on long drives. There is so much new music dropping everyday. Too much for the average person to keep up with! But when you spend all day driving, it’s easy to devote a few hours to listening to music. Whether you want to listen to the latest pop hits or dive into a lesser-known band on a music-streaming service, you can do it. The music will keep you motivated. And who knows? You might even find a new artist that you love. Do you love sports, politics, religion, news, or pop culture? No matter what you are interested in, there is likely a talk radio show devoted to it. By listening to talk radio shows, you can keep up with all of the current events that are happening in the world so that you don’t miss a beat when you’re driving for long hours. If talk radio shows aren’t enough for you, there are also hundreds of podcasts that are available right now. They cover a range of different topics and are usually updated every few days, so you will have plenty of new material to listen to when music and talk radio start to get old. If you love to read, you can work your way through books when you are driving—without taking your eyes off the road! 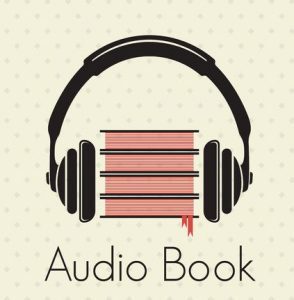 More and more books are being turned into audio books these days. Rather than turning the pages of a book, you can “read” one simply by sitting back and listening to someone read it to you. Does a day filled with music, talk radio, and audio books sound like a good day to you? Platinum Drivers is constantly looking for professional, reliable drivers. We can help you land a driving gig and speak with you more about your goals as a driver. Call us at 844-800-1421 today to find out more.